As part of the conditions for this funding, the municipalities whose applications were successful have to pay at least 20 per cent of the cost of the projects themselves. Work on the projects must begin before 2020 and they have to be completed by 2022. Malaga city council had been hoping for 25 million euros, but at present it has been allocated 15 and will have to pay 3.75 million itself. However, the city hall is confident that it will be able to obtain more funding in the next few years from the surplus money from projects in other Spanish cities which were never carried out. It obtained an extra ten million euros in this way from the EU’s previous programme. In any case, these 15 million euros will enable the local authority to continue revitalising the city centre to the north, covering the area from Ollerías to Lagunillas, as well as the districts of La Trinidad, Perchel Norte and in the area of El Ejido. Although the exact plans will be specified in the near future, one of the star projects will be making the area between Carretería and Álamos semi-pedestrianised as far as Plaza de la Merced, which will cost around five million euros. Some of the money will also be used to improve the Salamanca market, create sports facilities and a business centre in La Trinidad and build a day centre for the elderly in Plaza de la Paula, in El Ejido. In Antequera, the most important initiatives are the transformation of the road which crosses the town centre (Plaza de San Sebastián-Infante Don Fernando-Alameda), at a cost of 2.2 million euros, and improvements to La Moraleda and Cerro de San Cristóbal area (1.8 million). 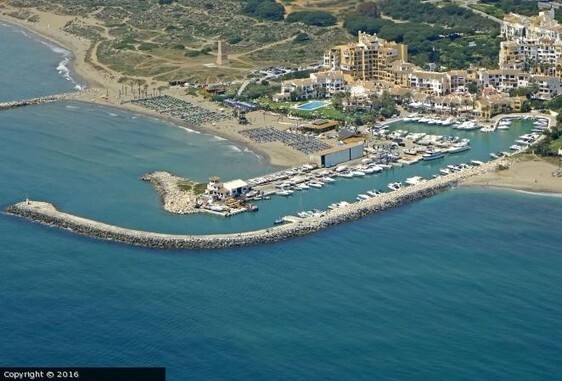 News of the funding has also been well received in Estepona, which had applied for 15 million euros from Brussels but has been granted 10 million. The money will be used to create a river park around the Arroyo Monterroso, build a second bypass to reduce traffic congestion in the Avenida Andalucía, improve the San Luis castle and continue to remodel the most historic part of the town centre. Meanwhile, Nerja is to receive five million euros which, together with its own funding of 1.2 million, will allow the council to carry out projects to generate employment in Los Poetas district, improve the nearby countryside by cleaning the highest stretch of the Chíllar river, plan energy-efficient and ‘smart city’ projects and create a green zone around Burriana beach.